Retrospectively, after examining considerable numbers of decay patterns, both the W and Z Bosons and the Gluon were identified. As shown later, the gluon was straightforward enough to identify as being a Pion, making there four different flavours of gluon, covering Pion-0 in both up and down types as well as Pion+ and Pion-. Also shown later is that the difference between a Pion and a gluon is that the gluon is created and destroyed near instantaneously, being both the simultaneous input and output of phase transformations. The Pion on the other hand would be the output of some phase transforms, and unlike its gluon incarnation it would have received enough energy to be self-sustaining until it decayed. The W and Z Bosons are fascinating, because they are effectively comprised entirely of pions. We also identify the gluon as being a "virtual pion" which is created and destroyed simultaneously. There are therefore four different types of gluon because there are four different types of pion. The W and Z Bosons, aside from the binding energy, could therefore be effectively considered to be comprised solely from gluons. If it were not for the huge binding energy, the Bosons would also be instantaneously created and destroyed. 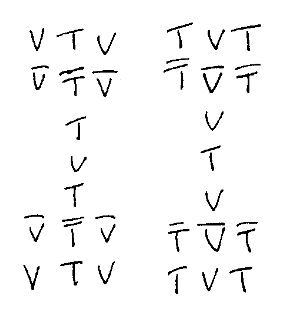 Coordinating the simultaneous creation and later the simultaneous destruction of (in effect) five sets of pion pairs however is not possible; this gives a "decay" time to the W and Z Bosons.